Now the ones who know me well knows that I don't really watch football. However I do support a team, and that team is none other thatn Liverpool FC. I feel that I have not been a very good fan to them despite following their news. To be honest, I think I might be losing fate but I sure as heck aint gonna let them walk alone! So go Liverpool! Next season is gonna be the best yet! Alright back to the point, where do you think would be the best place to watch football and have a drink at the same time? Would it be your own home? Wouldn't it be more awesome to sit with a great deal of people just like ure in the stadium and hash out those non violent thrash talking and cheers amonst fans and the opponent fans? 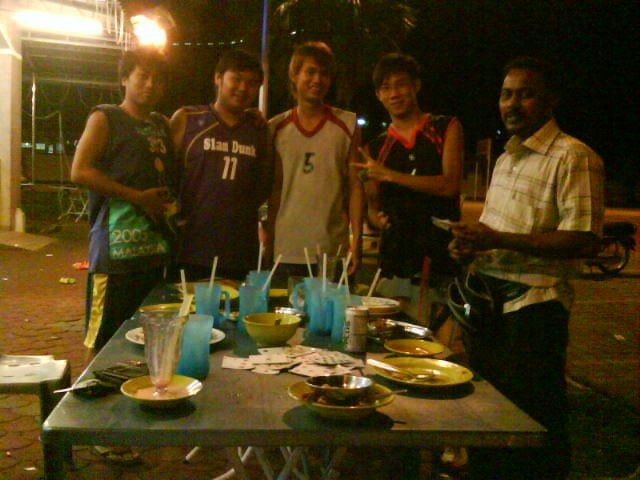 I think most Malaysian do this at the local mamak. 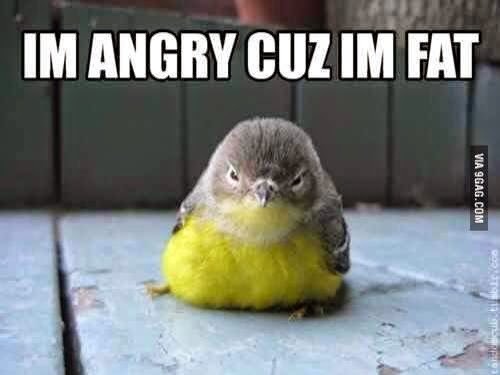 Yeap! 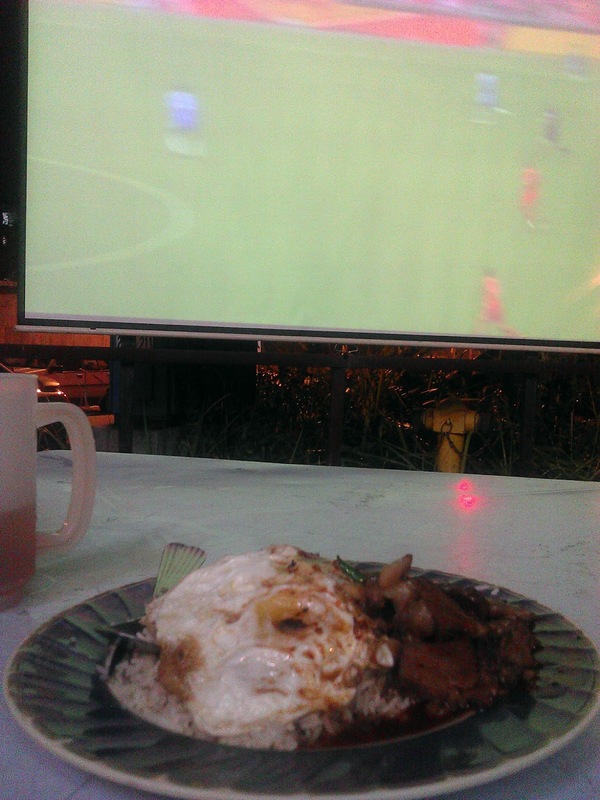 We get food, we get drinks and we get a big screen projected for the match, and even air cond if we are lucky enough! 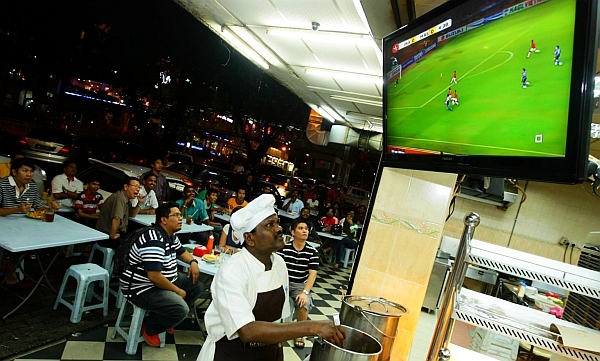 A really good Mamak would have a complete menu (but rarely they have), fast service, a projector or several HDTV which ever is available, good ventilation and lots of tables and chairs, hygiene actually comes last as long as no rats or cockroaches are crawling ON you. You might want to bring some cards for the boring half-time or just swallow up as much food as you ordered. 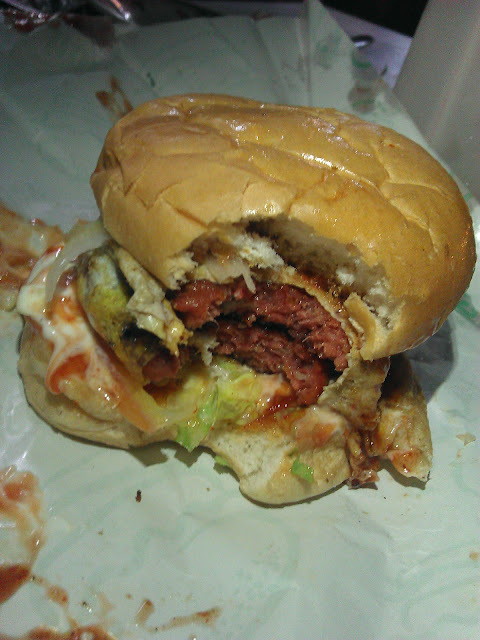 It is good practice to actually order 15 min before half time to avoid food congestion =). Nasi Goreng USA is one of my favorite dishes to order (It's fried rice + egg+ chicken/beef with sauce) with a teh o ais for starters (because you will definitely order more drinks later on! Many Mamak Stalls have a burger stall nearby, if you are lucky 2 burger stalls. 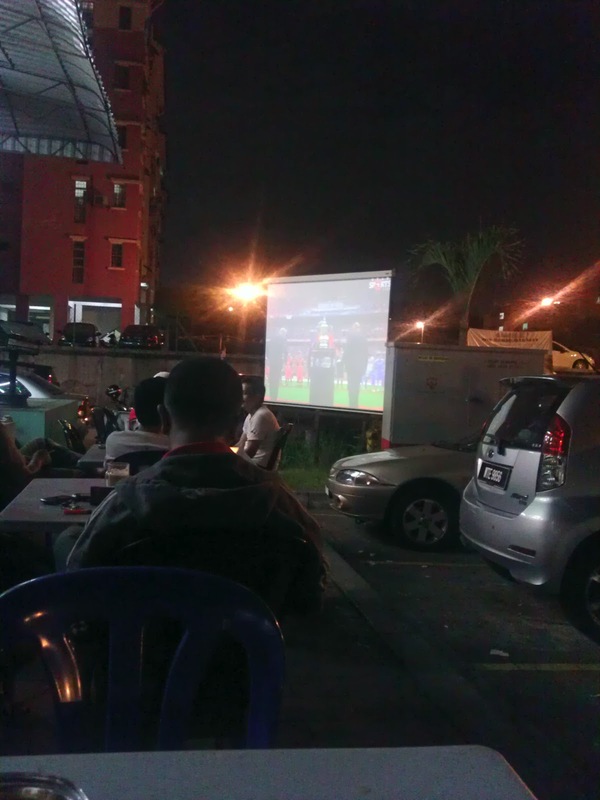 The good thing about these stalls are... they have delivery service to the nearest Mamak stall so you order and you go sit down and enjoy the match! Also try to sit as close as possible to the screen, some Mamaks have a very strong glare or a weak projector so you might be able to see clearly. But I think these are mostly sufficient for your everyday normal matches, I am sure if we can help it we would want an awesome experience even if we can be there live at the stadium! Well how about if I tell you that you can actually watch it on a big big big screen? I mean like cinema big! Yes, you probably guessed it! How about if we watch it at GSC Signature? 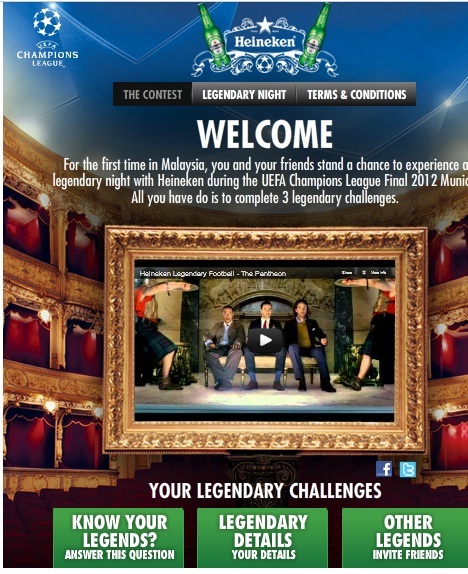 Heineken, Malaysia's premium beer is ready to create a Legendary night for you! Here is how you can actually stand a chance to experience the UEFA finals of Chelsea Vs Bayern Munich this 19th May. 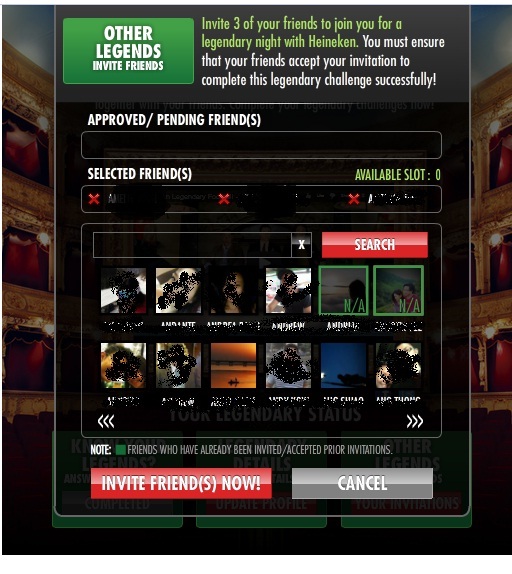 For starters, like the Heineken facebook page and go to this link below. You can proceed to watch the video and then answer a question to be in the running for the 100 Seats that are available =). 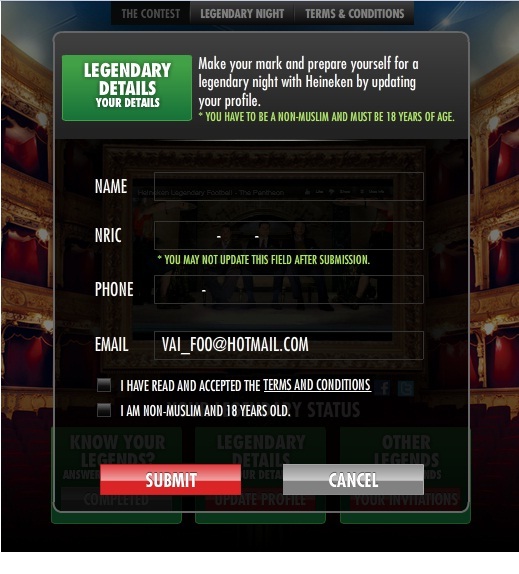 Of course you would need to submit your details, don't worry I submitted mine a few times already. Share the love and let your friends know about this exciting event as well. 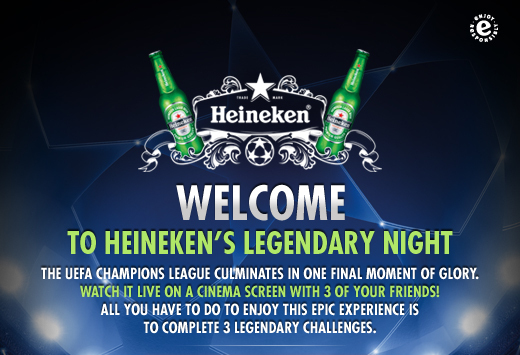 Now you are in the running for a #LegendaryNight for UEFA Champions League Final with Heineken hope to see you there!